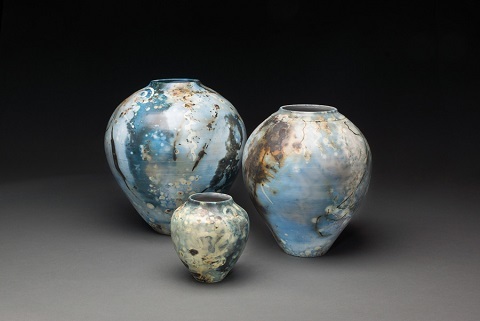 Wheel thrown vessels, polished Terra Sigillata, saggar fired in reduction with cobalt and Iron sulfates. Sizes and prices will vary. 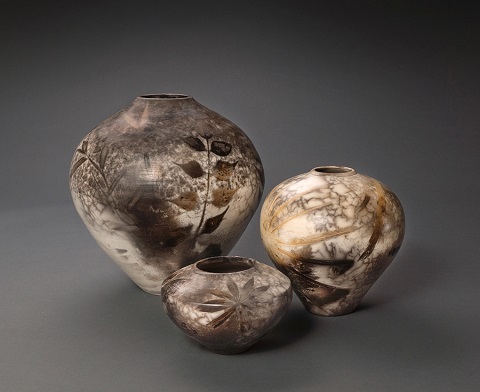 Sawdust fired white stoneware with botanicals. Sizes and prices will vary. Wheel thrown vessel, Raku fired white textured stoneware. Sizes and prices will vary. 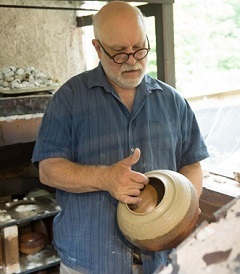 Raku, saggar and sawdust fired thrown white stoneware using alternative materials/techniques to create unique surfaces. 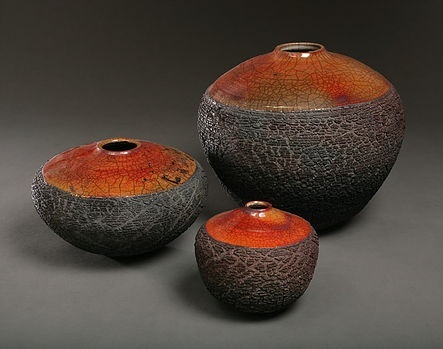 Also wood/soda fired in CCW Naborigama hand built brown stoneware decorated with flashing slips and shinos.